The baths opened during the summer season of 1914-1915. 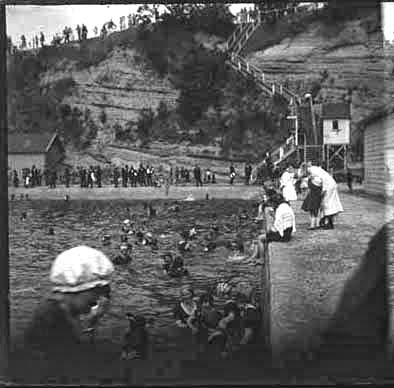 Since the pool is unheated, the baths are closed for part of the year year and when they reopen in around November time, people eagerly await the first dip in the icy waters. The water heats up somewhat during the season but still provides a nice cool down during our hot Kiwi summers. Up until the 1940s, improvements were made to the baths and it wasn't until the 1950s that major works were undertaken. 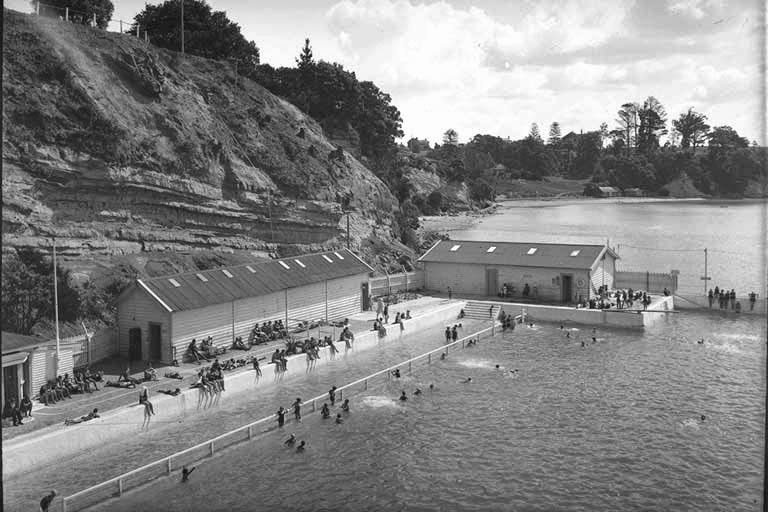 This re-modelling of the baths in the 50s created the outdoor seaside feel, that has made this such a landmark location. 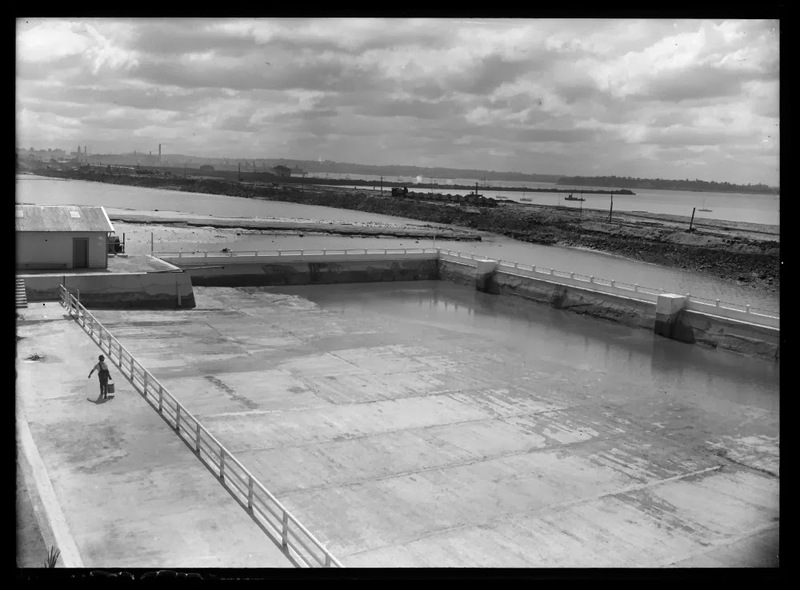 This work was undertaken by the council's Architects Office and was awarded a gold medal by the NZ Institute of Architects in 1958. 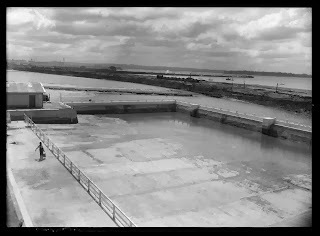 Tibor Donner (1907-1993) was the council architect involved in the re-design of the Baths in 1955. Donner was Hungarian by birth but he moved with his family to NZ and went on to become one of Auckland's most important architects at the time. 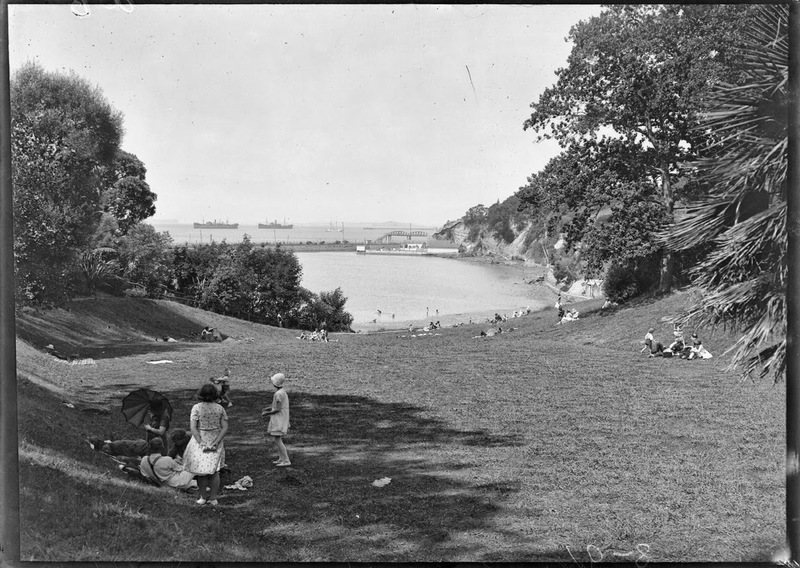 From 1946-67 he was Chief Architect of Auckland City Council and also designed a number of landmark buildings in Auckland such as the Civic Building and the Pioneer Women’s and Ellen Melville Memorial Hall in Freyberg Square. 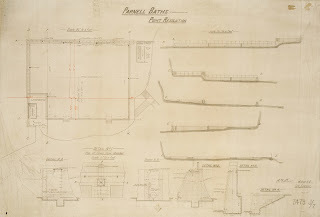 The design that Donner and Ralph Wilkinson, an architect in Donner's office at the time, came up with balanced the largest pool size possible, whilst maintaining 24 hour access across the site from the sea to Parnell. The resulting design included a cantilevered concourse which directed swimmers through the changing rooms to the pool area. The coloured glass mosaic wall mural was designed by artist James Turkington, in collaboration with the architects. The mural was installed in 1957 using a technique of embedding coloured glass in plaster panels developed by Donner after his 1956 visit to Mexico City. Some say that the mural owes a debt to Matisse’s The Swimming Pool (1952), which Donner may have seen during his overseas travels in 1956. 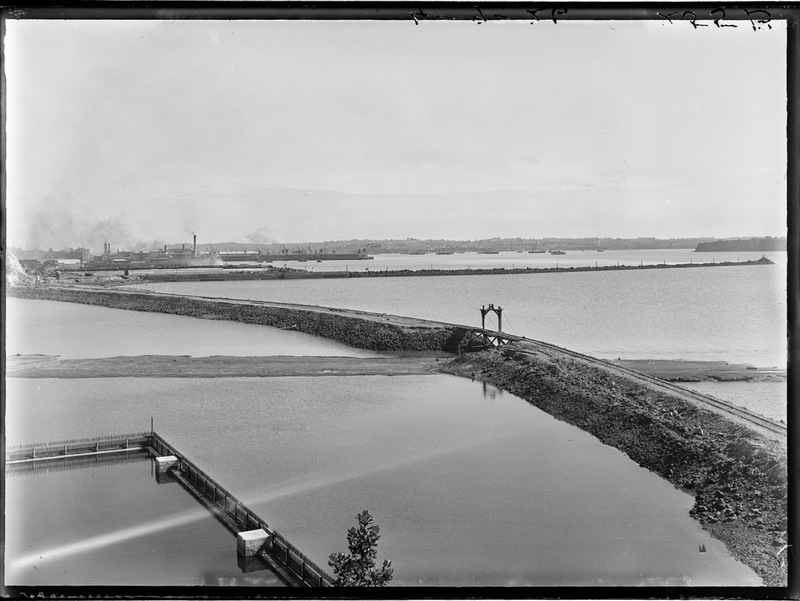 The baths are a Scheduled Category B item in the Auckland Council District Plan (Isthmus Section) (Appendix 1, p.8) and this listing covers both the interior and surrounds. Renovations in 2003 and 2010 by Mathews & Mathews strengthened the 1950s style of the baths and conservation work reinstated the quality of original detailing, materials, spatial arrangement and colour scheme. Facilities now include the main pool for lane swimming, water playground and toys, partially heated children’s pool, three hot pools and a cafe. Parnell Trust has a podcast which you can download and use to guide yourself on a walk around Judges Bay (including the baths ) and learn more about its history. Auckland Libraries also has resources in its heritage collections about Parnell Baths and the Tepid Baths, as well as the history of salt water baths in Auckland. This includes: 'Proud Aucklanders take the plunge: salt water swimming baths in the early twentieth century' (2002) a research thesis by Sue Monk and 'A dip in the clear, blue water: a history of Auckland city swimming baths & pools' (1984) by David Pointon and other contributors. 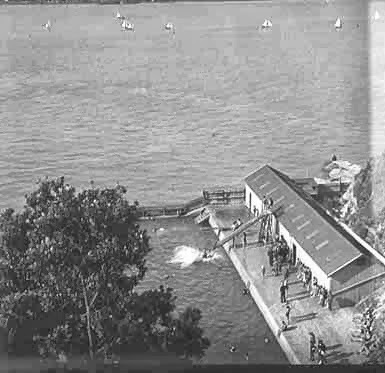 With summer on its way soon, once you have learnt about Auckland's historic salt water baths, why not plan to take a dip?